John 4:24 - God is spirit, and the ones worshiping Him must worship in spirit and truth. The Bible instructs Christians to worship God in truth, truth is something often misunderstood in our world because of greed. However the truth of Electricity in an Electric Cosmos, reveals many truths contained in the Bible and gives glory to God.. The true decipherment of the hieroglyphs reveals God as divine creator, the provider of Electric nourishment or Gods Electricity in the Electric Cosmos and that which supports life on Earth. It is therefore appropriate that we state that the statues and figurines in 'Egyptology' are NOT God, and are never described as such on this website. Truthfully this website explains the male and female components of the universe as anthropmorphic representations of an Electric Cosmos using advanced science of the plants and animals familar to ancient man. The Females represent the nourishment of negative charge throughout the cosmos while the Males are predominantly the entities and processes. Together both Male and Female components that comprise what is known today as 'Egyptology' are a gift of love and truth which explain the true physics of the Universe in stone for all to see and understand. 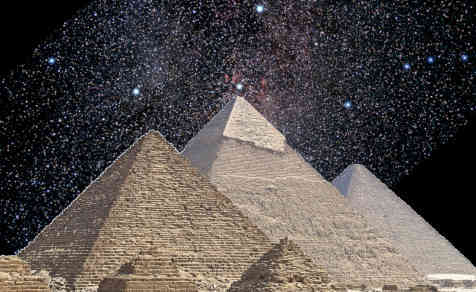 It includes a true explanation of what Pyramids are, and how Pyramids were gifted to our planet allowing for the absorption of negative charge into the land in order to support life here on Earth. A chapter that I believe is delibrately missing from the Bible, because it is contained in Gods carvings known as the hieroglyphs. 1 Thessalonians 5 - Prove all things; hold fast that which is good. Psalm 19:6 - His going forth is from the extremity of heaven, and his CIRCUIT to the other end of heaven: and no one shall be hidden from his heat. The following page is an example of how I interpret ancient scripture contained in the Bible, based on my own experiences and in the context of the true reality of Gods electricity powering the cosmos as that explained by the hieroglyphs. God is divine creator of the first order. Lord, master of Electricity in the cosmos. God is Lord and master of all fire, Lord and master of all wind, Lord and master of all water and Lord and master of all the circuits of the stars. This is what is described in both the hieroglyphs and the Bible. let them know how much better the Lord of them is: for the first author of beauty hath created them. Proponents of plasma cosmology, big bang cosmology, thunderbolts or electric universe cosmology (and many others) are all fundamentally false, because they fail to acknowledge let alone consider the true and correct role that almighty God plays in creation of the first order. For example thunderbolts.info, contrary to existing ancient doctrine, believe that God is the thunderbolt and that this plasma phenomenon in the sky is thus taken to be their God. At GodElectric we know that rather than God being the thunderbolt in the sky, or plasma manifesting as a stickman, or any other phenomenon, God is far far more infinitely greater. God is in the spirit realm, and God is the true creator of the thunderbolt, with electricity understood as what is organised and pervuades across the cosmos as the mechanism powering stars of the first order, God is the creator of heaven and Earth. That is what differentiates GodElectric cosmology from any other cosmology, because at GodElectric we acknowledge the role God has, as divine creator of the first order. 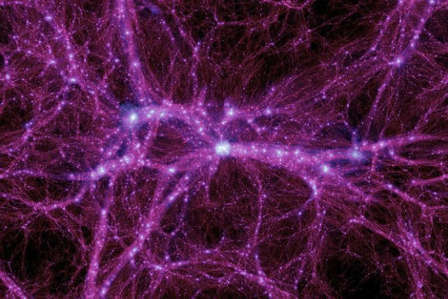 The circuits of heaven powering the stars would not be there, were it not for the spirit of God. By applying the true understanding of scripture to scientific models, what is described by both the true decipherment of the hieroglyphs and the Bible we can obtain a far better understanding of the realm beyond. The GodElectric cosmology is based on the understanding of spirit, shown in the hieroglyphs by the wedjat as fundamental in creation. In the case of the Earth, organised and created by God for the harvesting of righteous true love as described in both the Bible and the hieroglyphs. Instead of trying to negate God from scienctific understanding, and following the works of atheists like Velikovsky (etc), as many do in EU circles. At GodElectric we take a completely different approach, knowing that the Universe is fundamentally created by God at the first order, with Electricity as the mechanism. God, as the spirit of wisdom, truth, and love, divine creator of the light - the circuits of the stars. Confirmation of this understanding is found in both the true decipherment of the hieroglyphs at GodElectric.org and the Bible, and we believe this truth is waiting to be discovered elsewhere. Bottom line is, if you want an accurate forecast for the universe, then you need to include the word of God in your scientific models and understanding. Wolves and Lions behave differently. Wolves stick to their own territory, but Lions roam free in the heaven. True Love is free. 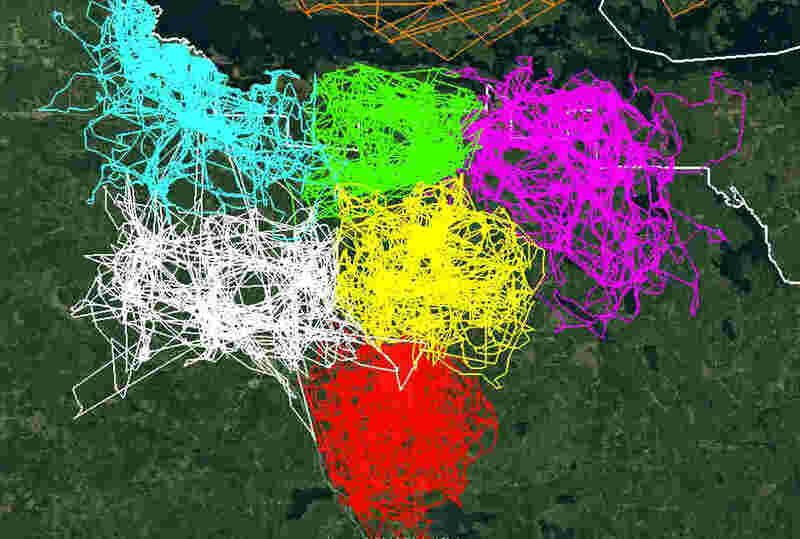 Below is a satellite image by Voyageur Wolf Project, where 7 wolves in different packs were followed and plotted using GPS. As you can see they rarely stray into another packs territory. The Bible describes how the Earth is Satans territory, he cannot leave it, he is bound by it - this is a fallen planet. You can think of each one of these wolves, as one of the 7 stars with Satan bound inside each. The heavens belong to God the father. Jesus Christ is not from this cosmos, meaning he is not from this ordered electric circuit that powers our Sun or these stars on this birkeland current. Jesus Christ way on the Earth is the love of God the Father, his way is a ROAR into the connected heavens and into this fallen Earth. Jesus Christ is the Lion of the tribe of Judah. True Love is always free, we have hearts that power us, our inner thoughts. They might not always be going the same direction as the different winds that are blowing, but they are always free. We might not even have a map, but in our hearts we follow the signs. There is no forgiveness for the Blasphemy of the Holy Spirit. Return my true love immediately, I have proven to you over and over how the Holy Spirit is in me. Return my true love immediately. John 12:44-50 [KJV] Jesus cried and said, He that believeth on me, believeth not on me, but on him that sent me. And he that seeth me seeth him that sent me. I am come a light into the world, that whosoever believeth on me should not abide in darkness. And if any man hear my words, and believe not, I judge him not: for I came not to judge the world, but to save the world. He that rejecteth me, and receiveth not my words, hath one that judgeth him: the word that I have spoken, the same shall judge him in the last day. For I have not spoken of myself; but the Father which sent me, he gave me a commandment, what I should say, and what I should speak. And I know that his commandment is life everlasting: whatsoever I speak therefore, even as the Father said unto me, so I speak. Psalm 104:5 [KJV] Who establishes the earth on her sure foundation: it shall not be moved for ever. Earth currently has an axial tilt of about 23.44°. This value remains about the same relative to a stationary orbital plane throughout the cycles of axial precession. The Moon also has a stabilizing effect on Earth's obliquity. However, the obliquity of the ecliptic meaning the angle of rotation of Earths orbit, is not a fixed quantity and varies due to planetary alignments and perturbations. The Bible therefore is referring to the axial tilt or lean of the Earth as Earths obliquity, within its orbital plane. It is important to realize that the earthquake in Japan was manmade, electrically induced by ionospheric antenna perturbations which moved the axis of rotation or tilt of the earth by around 16 cm. The Bible describes how the Earth should never be moved from its foundation, meaning it should never be displaced from its rotational axis. Think of the earth spinning like a gyroscope, for it to ever happen it requiress the electric force. It is known that Earthquakes are electrical phenomenon, and they can influence the Earths axis. It is understood that the earthquake in Japan moved the axis of rotation by around 10-16 cm, this earthquake was caused by ionospheric antennae [see here]. Scientists falsely claim that earths axial tilt is changing due to 'Global Warming' and ice melt. What is actually happening is the military industrial complex is manipulating earths electrical circuit to create man made earthquakes in divers places. Correspondingly this has an effect on Earths axial tilt, it has nothing to do with ice in greenland and the military industrial complex melting it with ionospheric antennae. The earths gravity is generated by an electrical pinch, and is like a spinning gyroscope. We are reaching what the Bible describes as the end of an age. Job 37:3 [KJV] He directeth it under the whole heaven, and his lightning unto the ends of the earth. The masoretic text of the KJV OT translates the word wings to mean ends. However in the original Septuagint it means wings and is likely to refer to the plasmasphere. Job 38:13 [KJV] That it might take hold of the ends of the earth, that the wicked might be shaken out of it? Again referring to the feather or wing of the earth which is the plasmasphere, this charges the earth shielding us from cosmic rays and also allows earth to store surplus charge which is how earthquakes are created. Genesis 1:16 [KJV] And God made the two great lights, the greater light for regulating the day and the lesser light for regulating the night, the stars also. Psalm 8:3 [KJV] For I will regard the heavens, the work of thy fingers; the moon and stars, which thou hast established. The Moon and Sun are perfectly established with their foundation set in place by God so that we see the Suns Electric Corona during an Eclipse. The Sun and Moon appear the same size in Earth’s sky because the Sun’s diameter is about 400 times greater – but the sun is also about 400 times farther away revealing Ra as the Cobra or Snake. This cannot be by chance, as the moons on other planets in the Solar System do not have a size proportional to their distance from the Sun. Our Moon is the only one uniquely positioned exactly to reveal the Suns Corona during an Eclipse and it just so happens that that planet supports intelligent life. Job 37:14-18 [KJV] Hearken to this, O Job: stand still, and be admonished of the power of the Lord. We know that god has disposed his works, having made light out of darkness. And he knows the divisions of the clouds, and the signal overthrows of the ungodly. But thy robe is warm, and there is quiet upon the land. Wilt thou establish with him foundations for the ancient heavens? they are strong as a molten mirror. Amos 5:7-9 [KJV] Ye who turn judgment to wormwood, and leave off righteousness in the earth. Seek him that maketh the seven stars and Orion, and turneth the shadow of death into the morning, and maketh the day dark with night: that calleth for the waters of the sea, and poureth them out upon the face of the earth: The LORD is his name: That strengtheneth the spoiled against the strong, so that the spoiled shall come against the fortress. No mention of Orion in the original Septuagint text, the hieroglyphs explain how charge is organised from the outer to inner galaxy, allowing stars to be powered supporting life. Ophiuchus is a large constellation located around the celestial equator. Its name is from the Greek Ὀφιοῦχος Ophioukhos; "serpent-bearer", and it is commonly represented as a man grasping the snake (meaning absorption) that is represented by the constellation Serpens. Ophiuchus was one of the 48 constellations listed by the 2nd-century astronomer Ptolemy, and it remains one of the 88 modern constellations. The constilation serpent bearer is directly opposite side to Orion in the night sky. The brightest stars in Ophiuchus include α Ophiuchi, called Rasalhague ("head of the serpent charmer"). The serpent representing absorption or ejection depending on its position in the galactic circuit. RS Ophiuchi is part of a class called recurrent novae, whose brightness increase at irregular intervals by hundreds of times in a period of just a few days. It is thought to be at the brink of becoming a type-1a supernova. Barnard's Star, one of the nearest stars to the Solar System. Nowhere in the original Koine Greek Bible is earth described as flat. The verse people often refer to when claiming that the Bible refers to the Earth as flat, is from the KJV Old Testament translated from Masoretic Hebrew, known as Isaiah 40:22 - "It is he that sitteth upon the circle of the earth". But Jesus Christ showed us the authority with Old Testament scripture is the Septuagint written in Koine Greek, that is what Jesus Christ the Son of God used when quoting from the Bible. In the Septuagint the word for curve is rendered 'γυρον' and elsewhere in the Bible such as Job 22:14 it means CIRCUIT and not circle. As Christians we are commanded to worship God in truth, it is the circuit of the Earth that is connected to the heavens and delivers Gods Electricity just as the hieroglyphs also describe. What we see and understand as the Birkeland Currents connecting to the Earth create the electrical circuits linking us to the cosmos. Isaiah 40:22 - It is God that sitteth upon the CIRCUIT of the earth. The KJV Old Testament is not the exact word of God because it is translated from Masoretic Hebrew scripture, however the KJV New Testament I believe to be entirely Gods word being translated from the Koine Greek. Gods wrath is often electric in nature. There are other metaphors that describe electricity in the Bible. One such example is the emptying of the vials as electrical discharge in the Book of Revelation. The hieroglyph of a Pot or Vase represents a charge store and refers to the ability of celestial bodies in space to store charge. Revelation 14:19 - And the angel thrust his sickle into the earth and gathered the vine of the earth, and threw into the winepress of the great anger of God. There are many verses about the creation of hail in the Bible. One of the most descriptive is in the Book of Revelation, whereby a vial is poured out into the air and hail is created. 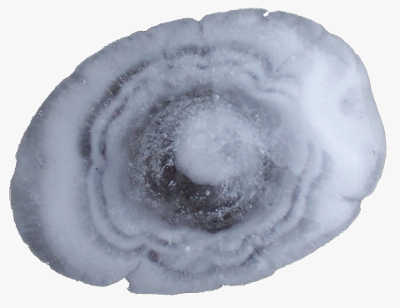 Slice open a hail stone with a razor blade and you will see layer upon layer of ice. Hail forms like this by circulating in a cloud that has a large updraft. Water is lofted into the upper atmosphere where it is much colder causing the water to freeze and a layer of ice to form, the hail stone then drops back down into the cloud whereby this process is repeated until the weight of the hail stone overcomes the updraft circulating it within the cloud. For hail to reach the size of a talent as described in the Bible a large updraft is required, and correspondingly a large electric field. As an example HAARP is a system known to create electric fields that create large updrafts in clouds so powerfull that you get hail the size of softballs, so how does HAARP do this? Where does all that power actually come from? The answer is simple if you understand the truth that is the Electric Universe. We know large hail is normally happening when the large Solar storms pound the planet, what is happening during a solar storm event is the plasmasphere is becoming more charged (explained by Shu and Ptah). 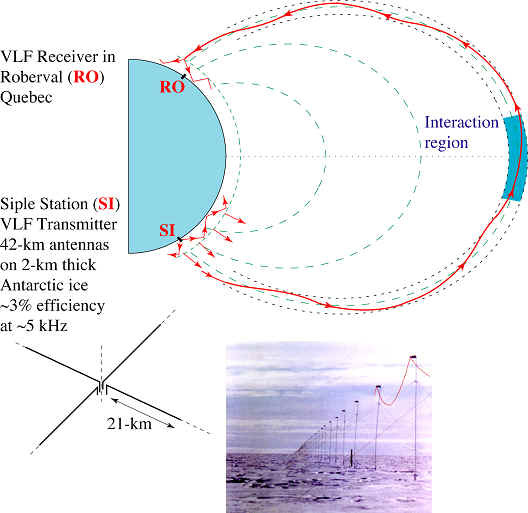 HAARP type antennae then release this charge from the Plasmasphere through holes in the ionosphere to chosen points on the Earth, this can be done a number of ways either by resonance of the ionosphere or interferometry and other less efficient direct methods. It is written in the Book of Daniel, the treasure in earthen vessels - this is a biblical reference to Gods Electricity stored on the Earth, i.e. in the Earth's plasmasphere. The Book of Daniel told us how the vessels in the Temple of Jerusalem, the vessels representing Gods Charge and power, were used by the Babylon empire to defile the God of the most high by using the vessels to worship the Gods of material wealth, [iron, bronze, wood, etc]. What happened next is known as the writting on the wall and the end of the Babylon empire. This is a prophesy within a prophesy as it is exactly what is happening now, in our time. Today entire industries exist for this reason, to exploit Gods Electricity, for greed. Options, derivatives and other instruments are taken out in advance of these events and used to profiteer from by those in the know, in direct contrast to ancient scripture. There is more about this at the end of this page in the End Times Prophecy section. This is the same principle, charge released from the plasmasphere drives currents in the earth creating volcanoes and earthquakes. Scientists recently discovered Earthquakes are underground electric discharge or lightning, a release of electrical energy in the environment. This is evident from the Earthquake lights visible in the lead up to Earthquakes. Revelation 16:17 - 16:18 - And the seventh angel poured out his vial into the air ... And there were voices, and thunders, and lightnings; and there was a great earthquake, such as was not since men were upon the earth, so mighty an earthquake, and so great. It is well documented that earthquakes also produce flashes of light and other luminous events. Psalm 104:32 - Who looks upon the earth, and makes it tremble; who touches the mountains, and they smoke. Exodus 19:18 - The mount of Sina was altogether on a smoke, because God had descended upon it in fire; and the smoke went up as the smoke of a furnace, and the people were exceedingly amazed. Interestingly, there is only one letter different between the word 'wrath' (οργη) and the word 'mountain' (ορη) in the original Koine Greek text of the Septuagint. Being closely related, because mountains are created by electric discharge, which is the wrath of Almighty God. The Koine Greek language and text used in the Septuagint is obviously divine in origin, it is also the Bible Jesus Christ would quote from and use and I believe is clearly superior to the Hebrew we have today [see here]. The word οὐλη, meaning "scar" is also very similar to the word οργη "wrath", again because scars on celestial bodies are the electrical wrath of Almighty God. The similarity between these words is no coincidence. Mountains and scars are formed by electric discharge, Gods Wrath - example.. This science experiment reveals the secrets of electricity and water and the principle in how God as the spirit of love could part the Red Sea or allow Jesus to walk on water using high voltage electricity. The Bible also describes that when the deciples and Jesus come into the ship, the wind ceased. Wind is electrically driven implying that a circuit was built up in the periphery of the ship by God, allowing Jesus and his deciple to walk on water. Psalm 107:25 - He speaks, and the stormy wind arises, and its waves are lifted up. Psalm 135:7 - Who brings up clouds from the extremity of the earth: he has made lightnings for the rain: he brings winds out of his treasures. Vapours ascend because of the birkeland currents at the ends of the earth powering the Earth. Lightning (electric discharge) occurs allowing for rain to fall, clouds are suspended charged bodies of water - once the charge of the cloud is disapated it will fall as rain. The store houses contain pots, which is again another metaphor for the store of Gods electrical energy that can be discharged creating wind. Ezekiel 1:4 - And I looked, and, behold, a sweeping wind came from the north, and a great cloud on it, and there was brightness round about it, and gleaming fire, and in the midst of it as it were the appearance of amber in the midst of the fire, and brightness in it. Ezekiel 1:28 - As the appearance of the bow when it is in the cloud in days of rain, so was the form of brightness round about. Amos 4:13 - For, behold, I am he that strengthens the thunder, and creates the wind, and proclaims to men his Christ, forming the morning and the darkness, and mounting on the high places of the earth, The Lord God Almighty is his name. The meaning of Satan is deception, or ones adversary in dispute..
Ezekiel 7:19 - Their silver shall be cast forth in the streets, and their gold shall be despised: their souls shall not be satisfied, and their bellies shall not be filled: for it was the punishment of their iniquities. Proverbs 11:4 - Righteousness traces out blameless paths: but ungodliness encounters unjust dealing. Proverbs 16:16 - The brood of wisdom is more to be chosen than gold, and the brood of prudence more to be chosen than silver. Proverbs 22:7 - The rich will rule over the poor, and servants will lend to their own masters. Matthew 19:23 - Then said Jesus unto his disciples, Verily I say unto you, That a rich man shall hardly enter into the kingdom of heaven. Ecclesiastes 5:9 - He that loves silver shall not be satisfied with silver: and who has loved gain, in the abundance thereof? this is also vanity. Matthew 6:24 - “No one can serve two masters, for either he will hate the one and love the other, or he will be devoted to the one and despise the other. You cannot serve God and money. Isaiah 55:8-9 - For my counsels are not as your counsels, nor are my ways as your ways, saith the Lord. But as the heaven is distant from the earth, so is my way distant from your ways, and your thoughts from my mind. People that call God an Ancient Alien dont know the first thing about the truth, or how the spirit electrically manifests itself in the universe. For a start the meaning of the word Alien is something foreign, people who call out our creator, the creator of both the Heaven and Earth, the creator of your life, as a foreign entity - these people have no clue of the truth. They have worshiped Satan (deception) for far too long. If you think about it even for a small part it is obvious, this universe builds redundancy through the spirit of true love - it has no purpose for greed, and satanic principles. The human body is predominantly formed of water, the spirit is the Electricity that runs through your neurons and synapses creating a living being. Only the electric spirit can enter the Kingdom of God. Cyborgs and tranhumanism, mixing silicon computing to the human body is not welcomed in Gods kingdom. Genesis 1:27 - And God made man, according to the image of God he made him, male and female he made them. But the Bible goes on to say always worship God in spirit and in truth. We are electric beings with a spirit. 1 Corinthians 15:50-58 - Now this I say, brethren, that flesh and blood cannot inherit the kingdom of God; neither doth corruption inherit incorruption. Numbers 16:22 - And they fell on their faces, and said, O God, the God of spirits and of all flesh, if one man has sinned, shall the wrath of the Lord be upon the whole congregation? Hebrews 12:9 - God is "The Father of spirits". John 4:24 - Jesus said: "God is spirit, and the ones worshiping Him must worship in spirit and truth." 1 Corinthians 6:19-20 - Or do you not know that your body is a temple of the Holy Spirit in you, which you have from God, and you are not of yourselves? You were bought with a price; then glorify God in your body, and in your spirit, which are of God. Hebrews 4:12-13 - For the word of God is quick, and powerful, and sharper than any twoedged sword, piercing even to the dividing asunder of soul and spirit, and of the joints and marrow, and is a discerner of the thoughts and intents of the heart. Neither is there any creature that is not manifest in his sight: but all things are naked and opened unto the eyes of him with whom we have to do. Proverbs 15:3 [KJV] The eyes of the Lord behold both the evil and the good in every place. Psalms 139: 1-5 - O Lord, thou hast proved me, and known me. Thou knowest my down-sitting and mine up-rising: thou understandest my thoughts long before. Thou hast traced my path and my bed, and hast foreseen all my ways. For there is no unrighteous word in my tongue: behold, O Lord, thou hast known all things, the last and the first: thou hast fashioned me, and laid thine hand upon me. The concepts of Remote Neural Monitoring, we have developed it for a little over a century. Supreme beings would have perfected it in everyway, conjoining the spirit to the electrical kingdom supporting the righteous and true in heaven in the name of the spirit of love. Job 34:21 - For he surveys the works of men, and nothing of what they do has escaped him. 1 Chronicles 28:9 - And now, my son Solomon, know the God of thy fathers, and serve him with a perfect heart and willing soul: for the Lord searches all hearts, and knows every thought: if thou seek him, he will be found of thee; but if thou shouldest forsake him, he will forsake thee for ever. Ezekiel 11:5 - And the Spirit of the Lord fell upon me, and said to me, say; Thus saith the Lord; Thus have ye said, O house of Israel: and I know the devices of your spirit. The heart is the most powerful electromagnetic organ in the body interfacing with God and the electric cosmos. God uses the neural pathway of the cosmos, what is described by the hieroglyphs as Nut containing the Wedjat to interface at the ends of the Earth, meaning the Birkeland Currents, seeing everything under the heavens. The Bible teaches that regardless of religion, the unity through following love as the way of Jesus Christ. God can also be within any living creature because in an Electric Universe our mind, heart and other organs are all interfacing with the cosmos through the Earths electric field that is connected at the ends of the Earth with the Birkeland Current - Nut containing the Wedjat. Voice of God weapons and what the Bible says about not being deceived.. Electric Dreams and Visions - Synthetic Experiences from the Cosmos or from the military industrial complex... You decide. NSA SIGINT can remotely detect, identify, and monitor a person's bioelectric fields. 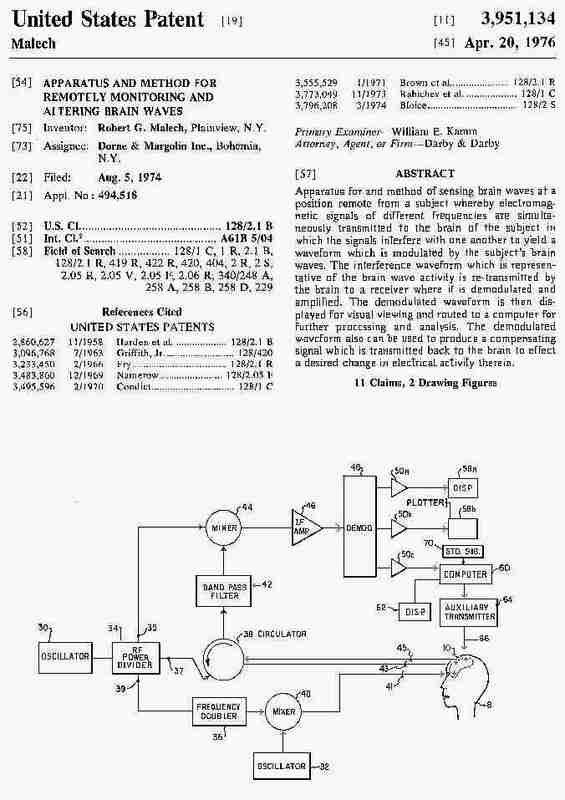 The NSA's Signals Intelligence has the proprietary ability to remotely and non-invasively monitors information in the human brain by digitally decoding the evoked potentials in the 30-50 Hz 5-milliwatt electromagnetic emissions from the brain. Neuronal activity in the brain creates a shifting electrical pattern that has a shifting magnetic flux. This magnetic flux puts out a constant 30-50 Hz 5-milliwatt electromagnetic (EMF) wave. Contained in the electromagnetic emission from the brain are patterns called "evoked potentials". Every thought, reaction, motor command, auditory event, and visual image in the brain has a corresponding "evoked potential" or net of "evoked potentials". The EMF emission from the brain can be decoded into the current thoughts, images and sounds in the subject's brain. The use of this techniques to emulate communications from divine spirits, is the perfect weapon to influence individuals into performing any task under the name of God, Allah or whatever religion or philosophical inclination it may have, control may be bring to a point any individual, may seduce, manipulate, or even neutralize an individual without thinking or meditating about the collateral damage he may inflict. Matthew 18:21-35 - Then came Peter to him, and said, Lord, how oft shall my brother sin against me, and I forgive him? till seven times? Jesus saith unto him, I say not unto thee, Until seven times: but, Until seventy times seven. Therefore is the kingdom of heaven likened unto a certain king, which would take account of his servants. And when he had begun to reckon, one was brought unto him, which owed him ten thousand talents. But forasmuch as he had not to pay, his lord commanded him to be sold, and his wife, and children, and all that he had, and payment to be made. The servant therefore fell down, and worshipped him, saying, Lord, have patience with me, and I will pay thee all. Then the lord of that servant was moved with compassion, and loosed him, and forgave him the debt. But the same servant went out, and found one of his fellowservants, which owed him an hundred pence: and he laid hands on him, and took him by the throat, saying, Pay me that thou owest. And his fellowservant fell down at his feet, and besought him, saying, Have patience with me, and I will pay thee all. And he would not: but went and cast him into prison, till he should pay the debt. So when his fellowservants saw what was done, they were very sorry, and came and told unto their lord all that was done. Then his lord, after that he had called him, said unto him, O thou wicked servant, I forgave thee all that debt, because thou desiredst me: Shouldest not thou also have had compassion on thy fellowservant, even as I had pity on thee? And his lord was wroth, and delivered him to the tormentors, till he should pay all that was due unto him. So likewise shall my heavenly Father do also unto you, if ye from your hearts forgive not every one his brother their trespasses. I can forgive my mind controller for all the years of being locked up and tortured using electronic weaponry. But what I cannot forgive is the mind controllers who stole my true love from me using electronic weaponry, as she was my heart and what they did is a blasphemy of the holy spirit, an attack on true love. Many people in this world call themselves Jews, because of their origin as a fleshly genetic code from Abraham. However Jesus explains how the spirit of Abraham transcends the flesh. Romans 2:29 - But he is a Jew, which is one inwardly; and circumcision is that of the heart, in the spirit, and not in the letter; whose praise is not of men, but of God. An inward Jew is therefore anyone who follows Gods Law as set out by Jesus Christ and the way he lived his life, what is called works in the spirit. John 8:39 - They answered and said unto him, Abraham is our father. Jesus saith unto them, If ye were Abraham's children, ye would do the works of Abraham. We are all the children of God by faith in Jesus Christ, and following his way. Galatians 3:16 - Now to Abraham and his seed were the promises made. He saith not, And to seeds, as of many; but as of one, And to thy seed, which is Christ. Biblical Israel is the renaming of Jacob as Israel in Genesis, Jacob who is Abraham's Grandson. Jacobs story signifies people struggling through life with God, Israel is a name of honor because it made reference to the promises of salvation through the Messiah, Jesus Christ. Biblical Israel does not mean what it means to most people alive today, which is a Caesar style nation state or land mass in the Middle East, instead when Biblical Israel is made reference to in the Bible it is referring to a spiritual nation of faithful followers in the way of Jesus Christ. Jesus Christ the Son of God himself said... "Before Abraham was, I am", "And if ye be Christ's, then are ye Abraham's seed, and heirs according to the promise", he also made it clear saying "I am the way, the truth, and the life: no man cometh unto the Father, but by me.". Luke 1:33 [KJV] And he shall reign over the house of Jacob for ever; and of his kingdom there shall be no end. If you are a Christian then this should be obvious anyway. As a Christian you follow the way and the spirit of Jesus Christ and that way and spirit of Jesus Christ was to use a Koine Greek Septuagint Bible. Jesus Christ did not use his Hebrew mother tongue to quote Gods word, nearly everytime he went to the Koine Greek. And it is obvious Jesus Christ is the truth if you have read the Bible. What is evident to me now is that corruption has crept into many sacred writings to create the languages we have today, like modern hebrew. History is nothing more than 'his story' as written by the conqueror with the financial and educational supremacy over others. 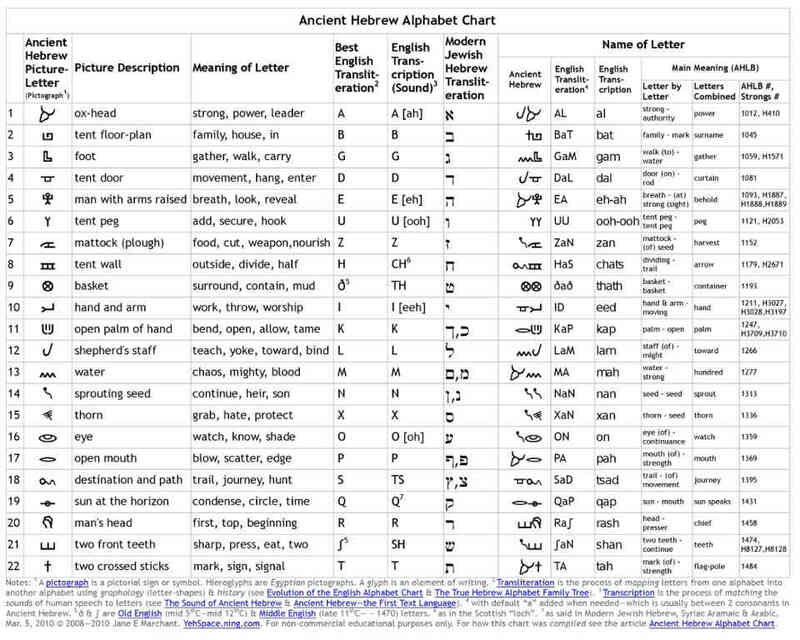 The original pictographic understanding of Hebrew is truly lost. As the Bible says, Satan truly has deceived the whole world. Stick to the Greek texts if you are Christian - its part of following the way! If you study the Greek words it is apparent they are certainly sacred, being divine in origin. E.g. words like 'Wrath' and 'Mountain' in the Koine Greek, have only one letter different and are therefore clearly meant to be related. This makes obvious sense if you have studied the true science of an Electric universe with God, because the truth is God creates mountains from his wrath, which is done through electric discharge. This is just one example, but the truth is very clear when you study the GodElectric hieroglyphs and the Bible. The Koine Greek texts are the original sacred texts, truly off world and divine in origin. The modern Hebrew the Jews claim as the authority is now corruption, even Jesus Christ himself explained it is a Satanic following, meaning they follow something that is not true, a deception. The more I study the true physics of the cosmos - Gods Electricity, using the GodElectric hieroglyphs and the Bible, the more apparent these truths become. The chart below will show how Jesus Christ and the apostles quoted from the Greek Septuagint when they were quoting from the Old Testament. In Bibles, like the KJV the Old Testament is translated from the Masoretic text, from 1000 A.D. The New Testament quotes could not have come from the Masoretic text, because it did not exist at the time the New Testament was written; it would not be translated for another 1000 years! The Septuagint, is believed to be 285 years before Christ, and this is the text that the writers of the New Testament quoted from! In the left hand column, we have listed several verses from the New Testament which are quotations from verses in the Old Testament. In the center and right hand columns are the verses being quoted from the Old Testament - the center being from the KJV Masoretic Hebrew translation, the right-hand being from the Greek Septuagint. In the right and left columns, we have set in bold type the major words that conform to one another and that are not found in the Masoretic text. Take note how many verses from the Masoretic text have lost their clear and pure meaning as compared to the New Testament and Septuagint. Translated from Greek texts 1611 A.D. Translated from Masoretic Hebrew texts 1000 A.D.
"Behold, the righteous shall be recompensed in the earth: much more the wicked and the sinner." "If the righteous scarcely be saved, where shall the ungodly and sinner appear?" "Who hath directed the Spirit of the LORD, or being his counsellor hath taught him?" "Who has known the mind of the Lord? and who has been his counsellor, to instruct him? "The LORD is on my side; I will not fear: what can man do unto me?" "The Lord is my helper, and I will not fear what man shall do to me." For the heart of this people has become gross, and their ears are dull of hearing, and their eyes they have closed; lest they should see with their eyes, and hear with their ears, and understand with their heart, and be converted, and I should heal them." "For though thy people Israel be as the sand of the sea, yet a remnant of them shall return: the consumption decreed shall overflow with righteousness. For the Lord GOD of hosts shall make a consumption, even determined, in the midst of all the land." "And though the people of Israel be as the sand of the sea, a remnant of them shall be saved: For he will finish the work, and cut it short in righteousness: because the Lord will make a short work in all the earth." "And again, Esaias saith, There shall be a root of Jesse, and he that shall rise to reign over the Gentiles; in him shall the Gentiles trust." "And in that day there shall be a root of Jesse, and he that shall rise to rule over the Gentiles; in him shall the Gentiles trust, and his rest shall be glorious." 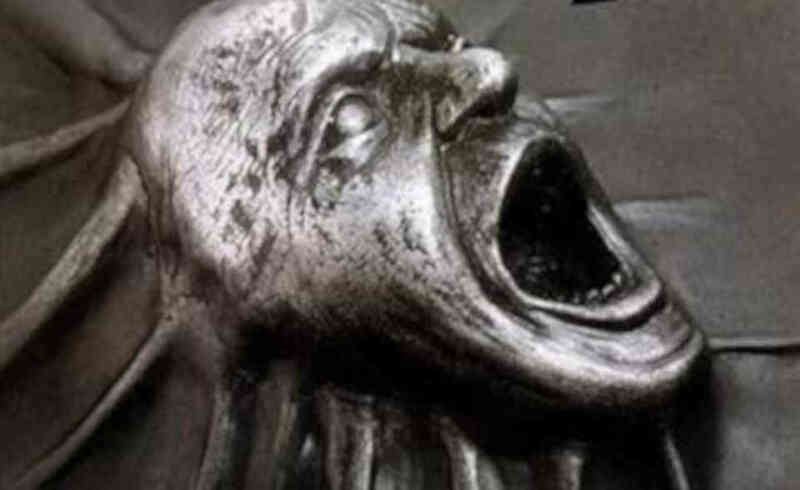 "Who by the mouth of thy servant David hast said, Why did the heathen rage, and the people imagine vain things? The kings of the earth stood up, and the rulers were gathered together against the Lord, and against his Christ." "Why do the heathen rage, and the people imagine a vain thing? The kings of the earth set themselves, and the rulers take counsel together, against the LORD, and against his anointed,"
"Wherefore did the heathen rage, and the nations imagine a vain thing? The kings of the earth stood up, and the rulers gathered themselves together against the Lord, and against his Christ." "Depart ye, depart ye, go ye out from thence, touch no unclean thing; go ye out of the midst of her; be ye clean, that bear the vessels of the LORD." "Depart ye, depart ye, go out from thence, and touch not the unclean thing; go ye out from the midst of her; seperate yourselves, ye that bear the vessels of the Lord." "And David saith, Let their table be made a snare, and a trap, and a stumblingblock, and a recompence unto them." "Let their table become a snare: and that which should have been for their welfare, let it become a trap." "Let their table before them be for a snare: and for a recompence, and for a stumbling-block." "My son, despise not the chastening of the LORD; neither be weary of his correction:"
"My son, despise not the chastening of the Lord, nor faint when thou art rebuked of him:"
"The voice of one crying in the wilderness, Prepare ye the way of the Lord, make straight the paths of our God." "That it might be fulfilled which was spoken by the prophet, saying, I will open my mouth in parables; I will utter things which have been kept secret from the foundation of the world." "I will open my mouth in a parable: I will utter dark sayings of old:"." "I will open my mouth in parables; I will utter dark sayings which have been from the beginning." "Wherefore the Lord said, Forasmuch as this people draw near me with their mouth, and with their lips do honour me, but have removed their heart far from me, and their fear toward me is taught by the precept of men:"
"And the Lord has said, This people draw nigh to me with their mouth, and they honour me with their lips; but their heart is far from me: but in vain do they worship me, teaching the commandments and doctrines of men." "Be ye angry, and sin not: let not the sun go down upon your wrath:"
Psalms 4:4, "Be ye angry, and sin not: feel compunction upon your beds for what ye say in your hearts. Pause." "Their throat is an open sepulchre; with their tongues they have used deceit; the poison of asps is under their lips:"
"For there is no faithfulness in their mouth; their inward part is very wickedness; their throat is an open sepulchre; they flatter with their tongue." "For there is no truth in their mouth; their heart is vain; their throat is an open sepulchre; with their tongues they have used deceit." "Wherefore when he cometh into the world, he saith, Sacrifice and offering thou wouldest not, but a body hast thou prepared me:"
"Sacrifice and offering thou didst not desire; mine ears hast thou opened: burnt offering and sin offering hast thou not required." "Sacrifice and offering thou wouldest not, but a body thou hast prepared me: whole-burnt offerning and sacrifice for sin thou didst not require." Thou hast made known to me the ways of life; thou shalt make me full of joy with thy countenance." "I have set the LORD always before me: because he is at my right hand, I shall not be moved. Thou wilt shew me the path of life: in thy presence is fulness of joy; at thy right hand there are pleasures for evermore." Thou hast made known to me the ways of life; thou wilt fill me with joy with thy countenance: at they right hand there are delights for ever." "They have all gone out of the way, they are together become unprofitable; there is none that doeth good, there is not even one." "Cast thy care upon the LORD, and he shall sustain thee: he shall never suffer the righteous to be moved." "By faith Jacob, when he was a dying, blessed both the sons of Joseph; and worshipped, leaning upon the top of his staff." "And he said, Swear unto me. And he sware unto him. And Israel bowed himself upon the bed's head." "And he said, Swear to me; and he swore to him. And Israel did reverence, leaning on the top of his staff." "And he spake unto Korah and unto all his company, saying, Even to morrow the LORD will shew who are his, and who is holy; and will cause him to come near unto him: even him whom he hath chosen will he cause to come near unto him." "Cursed is every man that continues not in all the words of this law to do them; and all the people shall say, So be it. "And as Esaias said before, Except the Lord of Sabaoth had left us a seed, we had been as Sodoma, and been made like unto Gomorrha." "Except the LORD of hosts had left unto us a very small remnant, we should have been as Sodom, and we should have been like unto Gomorrah." "And if the Lord of Sabaoth had not left us a seed, we should have been as Sodom, and we should have been made like unto Gomorrha." "A bruised reed shall he not break, and smoking flax shall he not quench, till he send forth judgment unto victory. And in his name shall the Gentiles trust." "He shall not fail nor be discouraged, till he have set judgment in the earth: and the isles shall wait for his law." "He shall shine out, and shall not be discouraged, until he have set judgment on the earth: And in his name shall the Gentiles trust." See the Djed Column - the word Pillar is used in the Bible and is referring to the same concept that is the dielectric. Job 9:5-7 [KJV] Which removeth the mountains, and they know not: which overturneth them in his anger. Who shakes the earth under heaven from its foundations, and its pillars totter. Which commandeth the sun, and it riseth not; and sealeth up the stars. Describing stress in the environment that is held in the dielectric and released in the form of electric discharge as an Earthquake which displaces the earth from orbital foundation. Job 26:11 - The pillars of heaven are prostrate and astonished at his rebuke. Meaning the dielectric of the electric universe trembles under Gods Electric rebuke.. The following video where Jesus teaches of being born again is from the King James translation. For myself, the original Greek texts take preference over the King James translation. There is a subtle but important difference in the words being used to describe being born again in the King James when compared to the original Greek. John 3:3 [Greek] Unless one should be born from above, he is not able to behold the kingdom of God. The word 'again' in the KJV, is from the greek word άνωθεν, meaning above. Everywhere else in the King James Bible it is translated as above. Above makes a lot more sense as well, as in the same chapter Jesus Christ explains that you must be 'lifted up' or raised. Jesus Christ reaffirms this understanding by saying that which is born of the flesh is flesh, and that which is born of the spirit is spirit. And that you should not wonder or marvel that is necessary to be born from above i.e. born into a heavenily body to see Gods Kingdom. John 3:5-7 Jesus answered, Verily, verily, I say unto thee, Except a man be born of water and of the Spirit, he cannot enter into the kingdom of God. That which is born of the flesh is flesh; and that which is born of the Spirit is spirit. Marvel not that I said unto thee, Ye must be born from above. Truth is on the Earth we are all born of the flesh, to be born of the spirit you must be lifted up or raised. Lifted up meaning born in heaven, from above, with a heavenly body of spirit and water. By following the way of Jesus Christ on the Earth, we are not condemned and will never see death, our flesh will die and our spirit will sleep until we are truly born again from above to enter into Gods kingdom. Some people claim to be born again Christians but are still on the Earth in the flesh, and are clearly not lifted up above in the heaven. Those Christians have misunderstood the Greek scripture, to truly be born again (from above) they have to not have flesh. Jesus was clear about this truth. You have to be 'lifted up'. Jesus said no man has ascended up (been lifted up) other than he that came down from heaven. So all the Christians, people who are dead in Christ and are Gods adopted children, God has their spirits and will lift them up at the trump of God, and only then once the adopted children of God are lifted up to be born from above are they able to behold the kingdom of God. 7) Born again in spirit and water, your heavenly body which is incorruptible and immortal and able to enter into Gods Kingdom. 1 Corinthians 15:42-49 [Greek] So also the resurrection of the dead. It is sown in corruption, it is raised in incorruptibile. It is sown in dishonor, it is raised in glory; it is sown in weakness, it is raised in power. It is sown a physical body, it is raised a spiritual body. There is a physical body, and there is a spiritual body. So also it has been written, the first man Adam became a living soul; the last Adam into a spirit being restored to life. But the spiritual was not first, but the physical; thereupon the spiritual. The first man was from out of the earth, of dust; the second man, the Lord of heaven. Such as the one of dust, such also the ones of dust; and such as the heavenly one, such also the heavenly ones. And as we wore the image of dust, we shall wear also the image of the heavenly. I believe Gog and Magog are the North and South Poles, where the Birkeland Currents connect to the earth and where it is possible to charge up the plasmaspshere and release that charge back through the ionosphere anywhere on Earth to create lightning etc (what are known as Satans deceptions and lying wonders, and are also called earthquakes in divers places). The physics are explained by Shu as the plasmasphere and Pakhet. Between 1973 and 1978, Siple base operated out of Antartica with a transmitter known as Zeus. The Zeus transmitter could operate at one frequency at a time at powers up to 100kW from the south pole. In 1978, the transmitter was replaced by the Jupiter transmitter, which could operate at multiple frequencies simultaneously and 150kW. Zeus and Jupiter being Greek and Roman 'deities' that represent electrostatic discharge, the naming of the transmitters reveals the intention of the electrical engineers involved, to charge and direct electric discharge phenomenon on the Earth using the poles of the Earth. It shows how they can charge the plasmasphere and have that charge released anywhere on the Earth creating lightning, which the Bible describes can be used for Satan deceptions and lying wonders such as earthquakes in divers places, and why the Bible says Satan shall fall as lightning. Satan is deception, and truth is not many people know the truth about the abuses of Gods Electricity in our time because they do not understand the true physics of the cosmos.. This is one example of what these type of transmitters can do, the global electric circuit is coupled into and Catacumbo lightning which stops in the run up to large M8+ earthquakes in the region. The single remarkable feature of the Catatumbo storms is their formation in the same place and at the same time for (what many sources say is) nearly half of the nights throughout the year. Satan Loosed - Revelation 20:7-10 [KJV] And when the thousand years are expired, Satan shall be loosed out of his prison. And shall go out to deceive the nations which are in the four quarters of the earth, Gog and Magog, to gather them together to battle: the number of whom is as the sand of the sea. And they went up on the breadth of the earth, and compassed the camp of the saints about, and the beloved city: and fire came down from God out of heaven, and devoured them. And the devil that deceived them was cast into the lake of fire and brimstone, where the beast and the false prophet are, and shall be tormented day and night for ever and ever. I believe the Apocryphal Books found in the original KJV1611 to be the legitimate word of God. When watching the video below, Ezra from the Aprocrypha talks about Israel, he is talking about people struggling with God, by following in the way of his only begotten son, Jesus Christ. Then a chariot and horse of fire seperated, and drew apart each of them both; and Elijah convulsed violently unto the heaven. Computer: "We want your soul"
The Koine Greek is the true sacred text that the NT KJV is translated from. Jesus in Koine Greek is spelled Ι Η Σ Ο Υ Σ (iota, eta, sigma, omicron, upsilon, sigma). Substituting in the Greek numeral system the equivalent numerical values to each letter in the name of Jesus and adding them up, the total is 888.